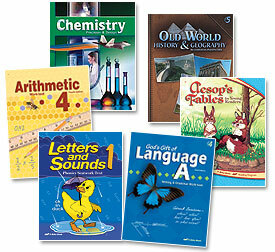 Many families use homeschool textbooks across the ages to teach a variety of subjects. Textbooks do not need to be used every year or at every age - but there are times when using textbooks will certainly make homeschooling easier and will give parents confidence that certain subject matter is being covered. 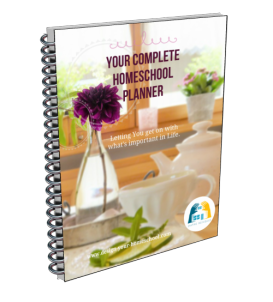 Are you interested in using the Homeschool Textbooks Approach, but would like to customize it to make it suit your family? How do we do that? How can we customize a textbook approach so that we are delivering a tailor made unique homeschool design for your specific children? 1. Decide: "All" homeschool textbooks or just "Some"
Firstly, you need to make the decision whether you would like to use a full homeschool curriculum - per grade level with all subjects included, per child. This would mean a full set of homeschool textbooks per child, per grade. If you choose to do that, you can look at the product descriptions of various full year scope and sequence based curriculum packages here. 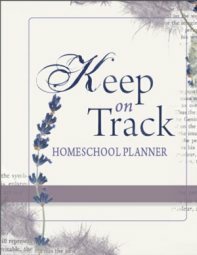 Just a little side-thought: I must add that although I believe homeschool textbooks have their place at some stages in homeschooling, if you have a large family, it seems to be a shame that each child is working independently on their own course. I love the subjects which we can combine (history, science, literature, art) and enjoy the learning experience together - even if we are learning at different levels. However, you may choose to use homeschool textbooks for just one subject or for a few. For example, you may have chosen to use Unit Studies. Depending on the study and how it is organized, it may cover subjects such as reading, writing, history or science. But you feel you need some help in Math. Then find a Math Textbook which will suit your child's learning style. You can then choose from Teaching Textbooks, or Life of Fred, Saxon Math or Math U See. Perhaps Science is not your strong subject and you would appreciate a methodical approach, or you have children who excel in Science and would love to teach themselves further, then find a Science Homeschool Textbook and continue with the rest of your studies in your own way. Perhaps you'd like to see what Apologia Science has for your child's age; Interested in Dinosaurs - find books that suit their particular interest. Once you have decided on which home school textbooks you use, you need to decide how to use the text. Use as is - Use the textbook as directed. Use with the worktext if possible. For example, the Apologia Science books have great notebooking journals that really do add to the learning! Use as a springboard - Begin with the textbook to open the topic; Explore further areas to research; Discuss how the information may be presented and explored. See some of these learning ideas. Use as a reference - Use the textbook as a reference. Keep the homeschooling textbooks in your personal library and when your child is interested in a certain topic, open the text and explore it some more. Read excerpts from one of the textbooks - something that you as a parent found interesting. Don't forget that there are many fantastic educational sites on the web which are free. They are amazing and here are a few good lists describing them in more detail. I haven't used them all, but have a look at what incredible free resources any homeschooling family would love to use. Follow up on their own personal interests, and use the web as an open source textbook.